By using our EcoNet® built-in leak detection system, you can safeguard your home and avoid the threat of water damage that could total several thousand dollars. Get the new Richmond® ENCORE® Series Hybrid Electric Water Heater and start enjoying years of amazingly quiet, energy-efficient and worry-free hot water. To see the comparison, choose your current water heater type by clicking the appropriate button below. 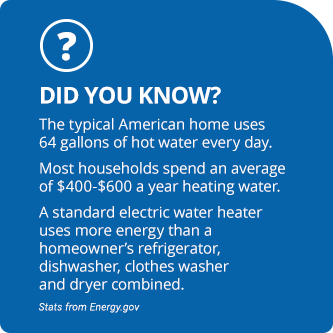 NOTE: This information is based on a comparison of a 50-gallon Richmond® ENCORE® Series Hybrid Electric Water Heater and a standard electric tank water heater, defined as an electric residential tank water heater with a 0.95 EF, and on DOE national average energy costs. 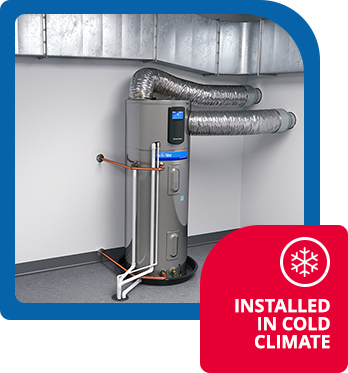 NOTE: This information is based on a comparison of a 50-gallon Richmond® ENCORE® Series Hybrid Electric Water Heater and a standard gas water heater, defined as a residential natural gas tank-type water heater with a 0.62 EF, and on DOE national average energy costs. Our new Hybrid Electric Water Heater is more accessible and compatible with smaller install locations—making it easier for you to trade in your old tank-type model and take advantage of super-efficient hybrid technology, no matter where you live. 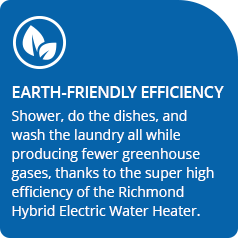 Learn more about why the Richmond® Hybrid Electric is the smartest water heater for your home. Get detailed product information, see more easy ways to save and find the nearest retail locations to purchase yours today. 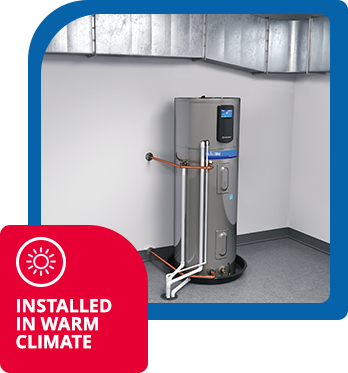 1Based on purchase price and energy cost savings of a 50-gallon Richmond® ENCORE® Series Hybrid Electric Water Heater with 3.50 EF over a 50-gallon standard residential electric water heater with a 0.95 EF. 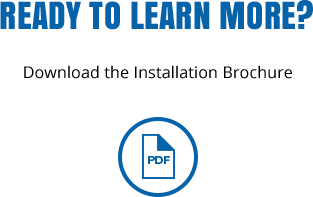 2Information on tax credits accurate at time of publishing; Consult your tax advisor for details on eligibility requirements for any available tax credits. 33.55 UEF refers to the 50-gallon model only. 65 and 80-gallon models have a 3.70 UEF. 4Actual savings depend on number of days vacation setting is used. 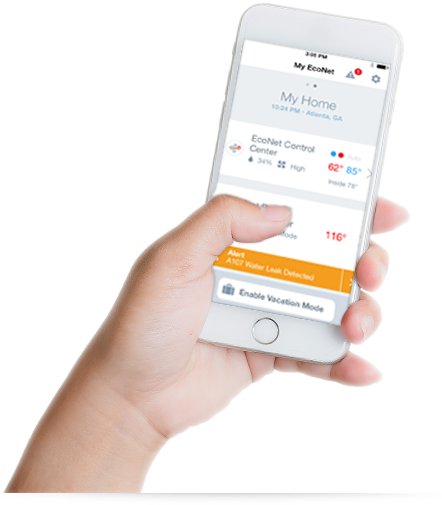 5WiFi Kit, WiFi broadband Internet connection and EcoNet® App required; Notifications are dependent on external factors beyond Richmond’s control. 6Varies by state. 7According to The Insurance Institute for Business & Home Safety.